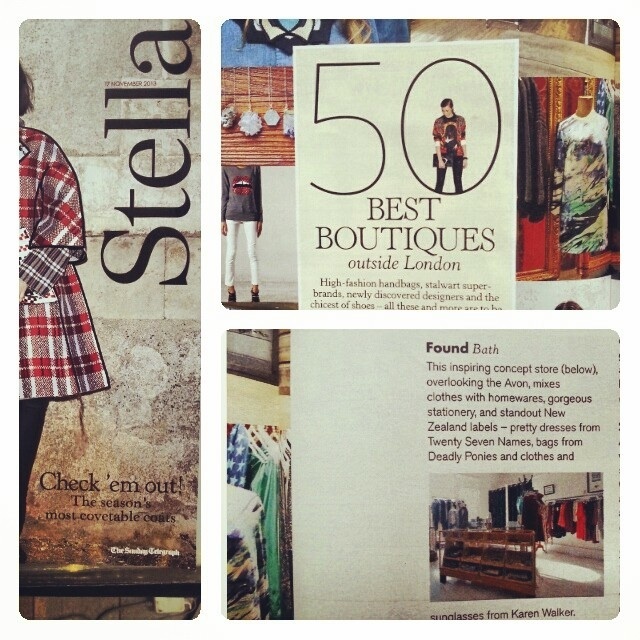 We opened on Sunday to one of our brilliant customers holding a copy of the Sunday Telegraph’s Stella magazine and hold up, Found was voted one of the top 50 boutiques outside of London. Holla out to you lovely Stella folks! Check the link out for more inspiring boutiques. Gift Guide / Boys Bo.. Gift Guide / Secret .. Gift Guide / His Wis.. Gift Guide / For the..